I'm always on the hunt for a holy grail concealer and I have to admit, so far, the NARS Radiant Creamy Concealer is becoming my number one. This is a lightweight, creamy liquid concealer with a medium to full coverage and luminous finish. My under eye area is quite dry and dark from lack of sleep! So, I have been trying to find a concealer that highlights and brightens my under eye area without creasing and looking dry. I don't normally do anything silly and fork out £23 for a concealer but after seeing YouTubers and Bloggers raving about this, I just had to try it out. 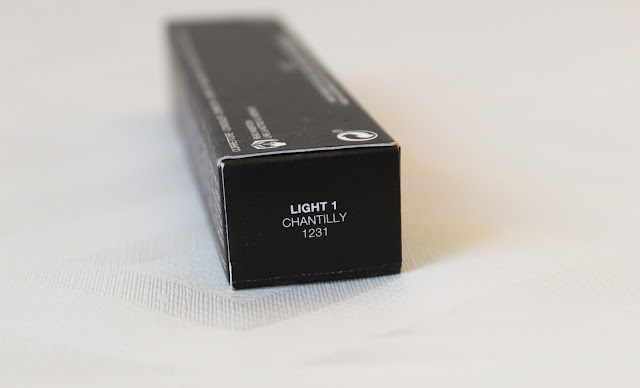 There are overall 10 shades in the range and I wear the shade Light 1 - Chantilly, which is described as "true ivory for fairest skin". 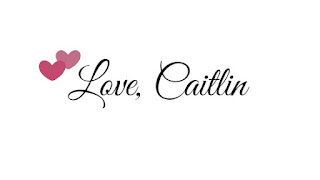 This works to reduce the darkness under my eyes lovely, and I also love the doe foot applicator, as I think it makes it so much easier to get the right amount of product on the skin. I am really pale, and thought that this might be a little too light for me, but it seems to work beautifully. Unlike some other concealers, the NARS Radiant Creamy Concealer does not highlight the one annoying wrinkle that I have under my eye haha! I really like that the concealer is not drying too. NARS Radiant Creamy Concealer is available in 10 shades: Chantilly (True ivory for fairest skin), Vanilla (Slight pink for for fair skin), Honey (warm peach for light-med skin), Custard (yellow tone for light-med skin), Ginger (golden tone for med skin), Biscuit (neutral med-dark skin), Caramel (golden yellow for med-dark skin), Amdande (med-dark w/ golden olive undertones) and Cafe and Cacao (for dark skin w/ deep gold/brown undertones. The packaging is a simple tube with a doe foot application. This makes it easy to apply where you want it to go and how much you want. I usually just apply it straight from the applicatior and sweep it under my eye area and use a beauty blender to blend it in. Or sometimes I will use a concealer brush to blend it out too. I only really need one layer for my desired medium coverage. The only one negative that I have about this product is that once it dries, you can't really mess with it much, it does have the tendency to break apart if you try and rub it in once it has dried. When adding powder over the top to set the concealer, I like to kind of pat it in instead of buffing it in. This, as promised, holds up well throughout the day. They both pretty much have good full coverage, the difference is in how much product you need to achieve it. The NARS' one has more coverage with using less product, but you can get the same amount of coverage with the Collection one. The finish is pretty much the same, they both have a semi-matte finish and highlight and brighten the under eye really well. The one difference, like I said, is that the NARS' one lasts longer throughout the day and looks a little brighter. 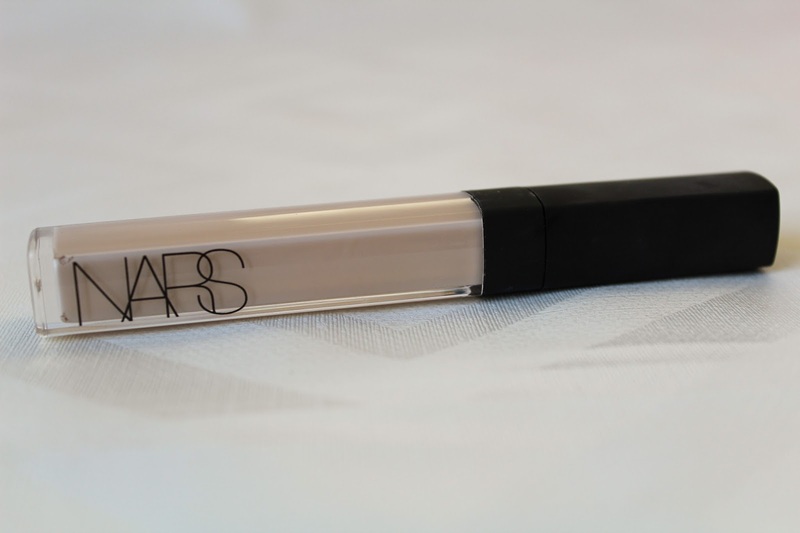 The NARS Radiant Creamy Concealer is a brilliant product, and Chantilly is my little dream come true. However, as soon as I get a slight tan then it is definitely going to be too light for me haha! You can pick this up for £23 from Space NK here. 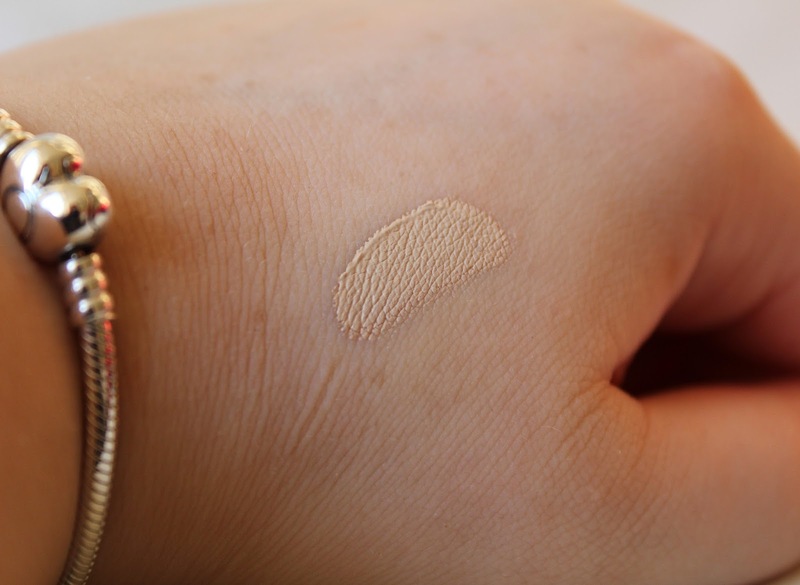 What is your holy grail concealer? Have you tried this one, if so, what do you think? Let me know in the comments!